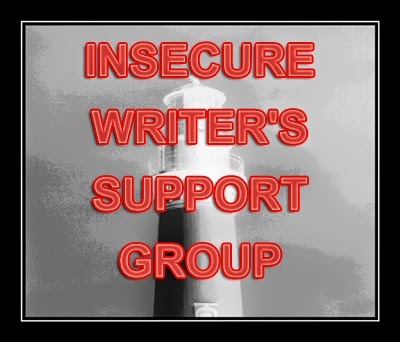 Despite all reason and a complete dearth of Time Lords, we have mystically transported to that magical time of Insecure Writer’s Support Group. The co-hosts for the February 4 posting of the IWSG are Gwen Gardner, Dolorah, Sarah Foster, and M. Pax! Go check out their posts and hop around. Find the linky Here, and go say hey to the Ninja Captain who started it all. Wrong Place, Wrong time: The story of how I found my favorite writer, but didn’t like her at first. My favorite writer (currently, and subject to change at a moment’s notice) is Lois Bujold. I LOVE her work. LOVE. I love it, my mom loves it, and my aunt the librarian sings her praises to anyone who will listen. And the first time I tried to read one of her books, I couldn’t get into it. Oh, this chink in my greatest fan of all time armor. See, the first time I tried to read one of her books, there I was, 19, on the edge of taking myself too seriously, and quite frankly, dealing with situations way outside of my maturity level (which was possibly on the young side). I was visiting my parents’ house, back from college, and I was just coming to the realization that college just wasn’t going to work out the way I wanted. I wasn’t getting good grades, my teachers were discriminatory (though, I couldn’t recognize it at the time), and my life dream of becoming an astronaut was sinking faster than a pirate ship without Johnny Depp on it. She wasn’t really a person I wanted to hang out with, so I never got past the first page. I set the book down and went back to something else (derivations and pretending I liked Nonfiction everything). Fast forward eight years and I’m alone in Washington D.C. I’m on a research trip, and I’m staying at a hotel. So I work all day, then I have all evening in a hotel in a city where I know no one. I seek solace in my first love, books. As I’m wandering the Borders (I miss you, Borders), I can’t decide which book I want. I’m there because I need a book RIGHT NOW. I see a book by Bujold, and my mom (better known as She Who Reads) hasn’t stopped singing the praises of this writer. So fine, I see that there’s an omnibus (always a good bang for the buck) called Young Miles. I read the first paragraph, and it’s about a kid making poor decisions and screwing up his life. So I kept reading. The first page, the second, the first chapter. Then I bought the book. I read it over the course of two nights. Yes, all three books bundled in there. It was wonderful. I went back and bought the next one for the flight home. Over the next four months, I read every word she had written that was for sale, and I tell everyone about her books. I buy her books in hardback when they come out, and I’m often there on release day asking for my preorder from my local bookstore. I warn them that I will want the book the day it comes out, so be sure to have them delivered that day. And I’m this much of a rabid fan despite the fact that the first time I tried to read her books, they just didn’t click with me. Clearly, I love her writing. Clearly I love her stories, so that first time when I encountered her work, I must have been insane. I apparently got better (either that, or I made my first saving through against The One Ring, and have since failed miserably). My point is that sometimes, we have control over things, but whether or not another person will like your work has as much to do with them as it does with your work. I wish all writers who are in the query trenches, submission hell, or just hoping for good reviews, I want you all to see this. She is my favorite writer, and because I was in a terrible mind frame, I couldn’t get past the first page. That book won a Nebula, so it’s not like it wasn’t spectacular. Nope, it was all me. And to be clear, the book I couldn’t get past the first page on, yeah, it’s one of my absolute favorites now. Huh, that's really interesting. Good reason to give authors a second chance! I've never read anything by Lois Bujold. I'll have to check her out. Sometimes you just have to grow as a reader before you enjoy certain authors. I've had the same thing happen myself. And yeah, I think every writer needs to understand that not everyone will like our work, and that's okay. I know my stuff is going to piss off some (loud and angry) people for one reason or another. And I'm fine with not having those people as fans.